I tossed in the initial sketch, then the near-finish of the linework, just to show the progression. She looks cute when frustrated though. The pun is overwhelming. She looks cute when frustrated though. You know, this brings up an interesting conundrum. 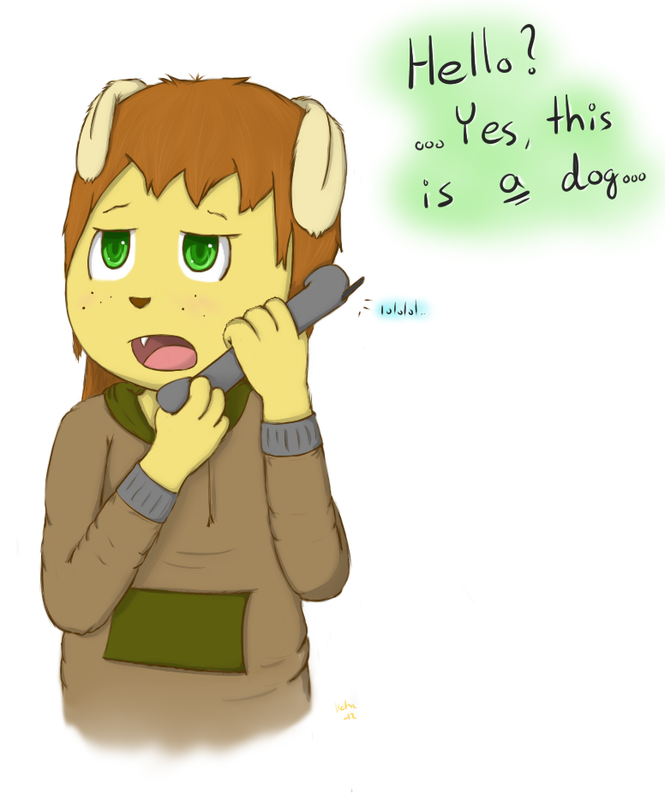 How would phones be designed in a world of anthropomorphic animal people? Many species have their ears on the top of their head, and others have ears on the sides. Would the phones be more like old-school phones where the speaker and microphone are in two separate pieces? Yeah, that exact thought crossed my mind as I was drawing this, but I just opted to keep the mouthpiece where it should go, then have the earpiece floating off in space! oh~ that was a meme? I thought you were referancing a weebl video called "Telephone Dog" x3 I guess that was running off the same meme.